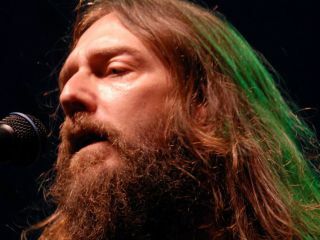 The Black Crowes' Chris Robinson: jealous of Gretchen Wilson's hit? The Black Crowes are suing country singer Gretchen Wilson over alleged copyright infringement. Lawyers for the veteran southern rockers have served copyright infringement notices to Wilson, TNT, Sony BMG and publishing company J Money Music, claiming they have "exploited" the Crowes' 1991 hit Jealous Again. Wilson's own song Work Hard, Play Harder - the offending melody - is currently showing on the TNT channel in ads for its show Saving Grace. The appearance on the ad is not the only issue though. Work Hard, Play Harder is mooted to appear on Wilson's next studio album, due before the end of 2008. Wilson remains one of country music's biggest sellers so the song has vast earning potential. "We find the musical verses of Wilson's song to be such an obvious example of copyright infringement that I expect all parties to reach a relatively quick resolution to avoid litigation," said Crowes manager Pete Angelus says in a statement. A spokesperson for Wilson has yet to make any comment. MusicRadar would guess that Wilson will be allowed to continue with the song, but the Crowes' will want writing credits. And a cut of the cash. Well, that's what we'd do. And hey, while the Black Crowes are not the most original band themselves - the Rolling Stones could have a point about some of their '70s originals being "exploited" by the Crowes, hmm? - this one is sure going to provide fun for lawyers. Compare the two songs. What do you think?